As China continues its rise to global superpower status, the country of more than 1 billion people seems to be threatening the incumbent world superpower – the United States – on a number of fronts. But not just with missiles and armies. While the Internet already plays host to cyber crime from petty criminals and cyber terrorism from organized activist groups, some believe full-scale cyber war between nations could be around the corner. But what would cyber war look like, and could the United States win? Many governments around the world are ramping up defense strategies to cope with online security threats and increase their potential arsenal. But so far the cyber war has been more like the Cold War: There are skirmishes and incidents as both sides attempt to size each other up and probe for weakness, but nothing that spills over into outright conflict. Back in 2010, one of the highest profile attacks took place in the form of the Stuxnet computer worm. It was designed to cripple Iran’s nuclear program, which according to some reports, it did rather effectively. According to The New York Times, Israel and the US were behind the sophisticated virus. Is the whole thing being overstated as a threat? When people like Richard Clarke, the former head of counterterrorism in the US, warn that the cyber war could already be lost you may want to unplug your PC and run for the hills. But you have to take it with a pinch of salt from a man who now runs a cyber-security company, which would no doubt love a big contract. Whether these concerns amount to scaremongering or legitimate fears, so far incidents like Stuxnet have been mercifully rare, especially if you discount false reports like this one. The US has also been making angry noises about the Chinese cyber campaign for quite some time now. The popular image is of vast warehouses filled with armies of Chinese cyber-Jedis ready to bring down the power grid or destroy the economy (looks like the banks beat them to that one). The reality looks to be different and the cyber war is still firmly focused on espionage and IP theft, but you can bet both sides are developing more potential weapons every day and stockpiling them like Cold War nuclear missiles. A recent Guardian article on the militarization of cyberspace discussed how the US and the UK have been developing potential cyber weapons and working on defensive and offensive strategies in the face of a Chinese threat which is thought to be extremely serious. It’s really all about deterrents – we’ve already reached the point where an open war would be MAD (mutually assured destruction) just as we did with nuclear weapons. Just because outright cyber war is not on the cards does not mean that nations will stop fighting. Just like the Cold War, governments are allegedly using companies to work as their spies. There was a time when the aims and goals of powerful companies were closely aligned with those of their national governments, and the two worked hand in hand. With the birth and proliferation of multinationals, wielding huge political influence and operating in many nations around the world, it looked as though that link was broken. Perhaps it was really just weakened. The claims focused on Huawei and, to a lesser extent, ZTE as Chinese companies that are threatening US national security. The concern is that these Chinese manufacturers are providing huge amounts of cheap telecom equipment and software to build networks in various countries around the world, and they may be compelled to feed information back to the Chinese government. Governments ask private companies for information all the time. The US government has been requesting more and more information from Google, Facebook, Twitter, and others about private user accounts. Both the US and UK governments engage in online surveillance and private companies generally comply with their requests. Google drew the line at Chinese censorship requests, and its business in the Chinese market has suffered as a consequence. 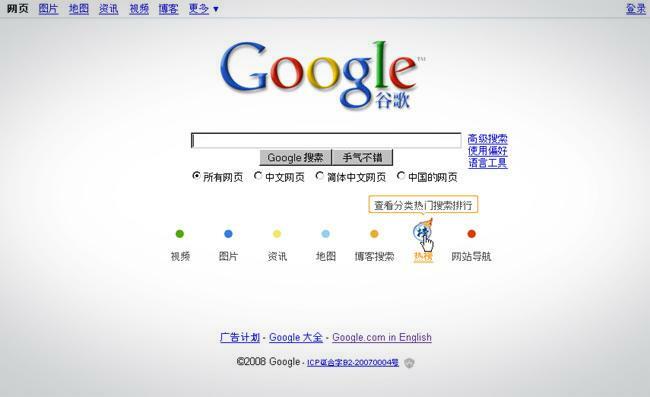 Baidu is the most popular search engine in China, and it follows orders from the government. There was another spat recently as Google warned Acer about the Aliyun-powered CloudMobile 800 smartphone. According to Google, the Alibaba-developed Aliyun is a fork of Android. Some people complained about this signaling that Android isn’t as open as Google makes out, but it’s worth remembering that there are various pirate versions of Android apps and games available on Aliyun. Of course Google doesn’t want an OHA (Open Handset Alliance) partner using it. The piracy issue has already led to Google Play in China only offering free apps. It seems to boil down to the fact that China is better at this. Opinions from many experts, like Forbes’ Loren Thompson, indicate that the US is more open to attack, that it has more to lose. There are also claims that Chinese intrusions are already costing tens of billions of dollars each year, but there’s no real transparency in this argument. China denies it. The whole issue is secretive by nature, so concrete proof seems to be thin on the ground. Much of the perceived threat comes from Chinese companies offering equipment and software so cheaply. European and US claims focus on the fact that the Chinese government is heavily subsidizing some industries. There’s a huge row over solar panels, as reported by Bloomberg. There is also a major trade case pending in the EU about illegal Chinese telecom subsidies, as reported by Reuters. The fact these Chinese manufacturers can offer solutions so cheaply has led to them winning many contracts for network infrastructure in the Western world, and that doesn’t cut both ways. You may well wonder how much of the recent US concern is really motivated by economics. Even if you aren’t a fan of the American government and its tactics to protect its position in the world, the enemy of your enemy is definitely not your friend when it comes to China. Human rights abuses, censorship and repression by the Chinese government are well-documented. If China gains dominance in cyberspace then the Internet we know and love could be under serious threat.